A duo of young and talented artiste who is destined for greatness through music. 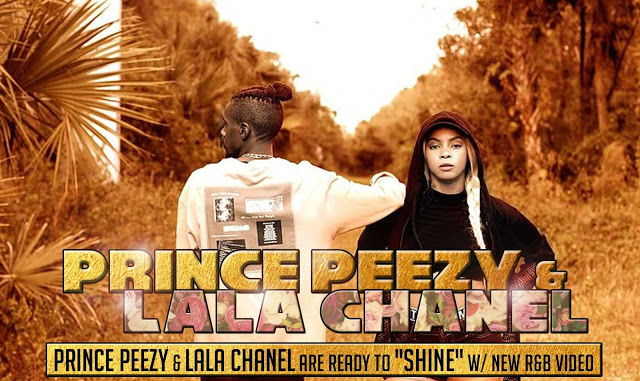 Prince Peezy & Lala Chanel in their music video, “Shine” portrays regular young persons who are destined to achieve a better life. They forecast through their music, real-life situations as they note the pressure and the opposition you will face when pressing for what you need and to achieve your goals. They don’t reserve on showing their love and passion for music as they noted they are trying to be a set apart musical team that helps to get their fans and the world at large connected through their talent. People are evidently gravitating towards their music has it has a rather positive side to the video. This video is just the first among many to be released into the music world and for sure, like this video has a positive feedback and touch, we can see greatness for them in both the near and far future.